„The Romanian Presidency of the Council of the European Union will pay particular attention to fostering inclusiveness, excellence and mobility. More, as stated in the Trio programme, the Presidencies are supporting the decisions followed by the early implementation of the next generation co-operation frameworks in the education, youth, culture and sport sectors, such as the Education and Training post 2020 framework and the new EU youth strategy”, said Ecaterina Andronescu, Minister of National Education, at the opening of the Forum on the Future of Learning, at the invitation of the European Commissioner for Education, Culture, Youth and Sport, Tibor Navracsics. Minister Ecaterina Andronescu stated that during the term of the Romanian Presidency, the Council recommendation on High Quality Early Childhood Education and Care Systems should be finalised. „We all agree and researches confirms that it is in the early years that children create the foundation and capacity to learn throughout life. Learning is an incremental process. Building a strong foundation in the early years is a precondition for higher level competence development and educational success as much as it is fundamental for health and the well-being of children” the Romanian minister added. On this occasion, the Minister of National Education underlined the key role of teachers in strengthening a successful educational system. Thus, teachers should be at the heart of initiatives on education reforms, and efforts should be concentrated on the quality of initial and in-service teacher education, as well as on the status and attractiveness of the teaching profession. At the same time, the Minister thanked the European Commission for the initiative to set up the European Education and Training Expert Panel, being confident that the outcomes of the Expert Group will contribute substantially to the development of the new EU cooperation framework in the field of education and training. The debates on the conclusions of the expert group’s work will be continued in Bucharest at the high-level meeting to be held at the end of February. The Forum on the Future of Learning is an open platform for exchanges between education, training and youth stakeholders and policymakers. The main discussions focused on key issues that education and training will be facing in Europe and beyond until 2030, including the challenges associated to demographics; inclusion and citizenship; technological change and the future of work; digitalisation of society; environmental concerns; and investments, reforms and governance. 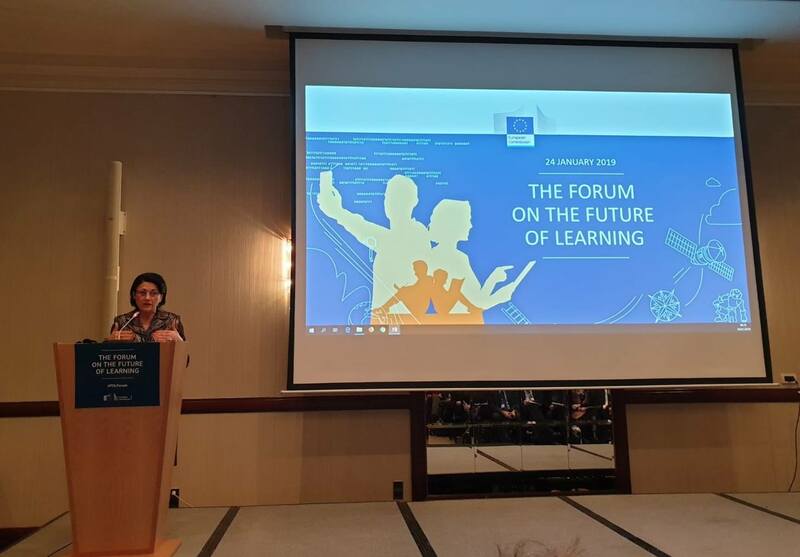 The event was attended by education actors and policy makers, the debates fucusing on the findings of the European Education and Training Expert Panel set up by the European Commission in 2018.